She used to write Regencies but her most recent title (2008) is Urban Fantasy. DesJardien has a husband and two grown children. 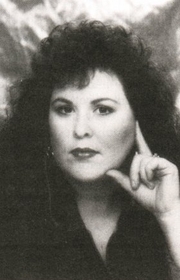 Teresa DesJardien is currently considered a "single author." If one or more works are by a distinct, homonymous authors, go ahead and split the author. Teresa DesJardien is composed of 5 names. You can examine and separate out names.